In what is seen as a major upset, Wesley Bell, a member of the Ferguson, Missouri city council defeated 27-year incumbent Robert McCulloch for St. Louis County Prosecutor on Tuesday night. Add Ferguson as an interest to stay up to date on the latest Ferguson news, video, and analysis from ABC News. McCulloch gained national attention in his handling of the investigation of the fatal police shooting of Michael Brown in Ferguson, Missouri. According to the board of elections, Bell earned 57 percent of the vote in the Democratic primary and with no Republican opponent, the councilman is expected to win the seat in November. “These results demonstrate that voters care passionately about crucial civil rights issues from the unjust use of cash bail to how long people are sitting in our jails because they can’t afford to pay, to demanding their prosecuting attorney be transparent on his office’s work,” said Jeffrey A. Mittman, executive director of ACLU of Missouri in a statement. 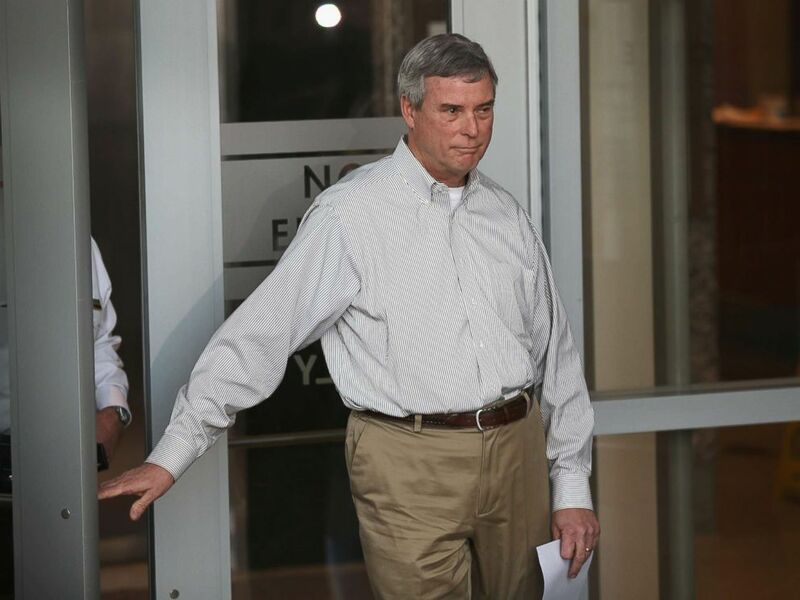 Robert "Bob" McCulloch, the Prosecuting Attorney for St. Louis County, arrives to a press conference on March 15, 2015, in Clayton, Mo. Bell’s win comes nearly four years after Michael Brown, an unarmed black teenager, was killed by Ferguson Police Officer Darren Wilson. The grand jury ultimately didn't indict Wilson. Bell ran on campaign promises to target crimes that matter most, end mass incarceration and reform cash bail, end the death penalty and resist the President Donald Trump administration. Bell and McCulloch did not immediately respond to ABC News’ request for comment.